NEW YORK (AP) — If Michael B. Jordan's path to this moment was condensed and edited, it might look, appropriately, like a training montage. 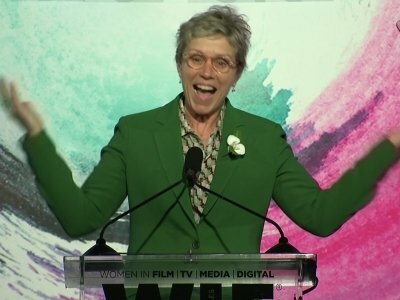 LOS ANGELES (AP) — Six months after Frances McDormand introduced the world to the concept of an inclusion rider in her Oscars speech, Warner Bros. and its sister companies are announcing a company-wide commitment to diversity and inclusion, becoming the first major entertainment company to do so. MCALESTER, Okla. (AP) — The Oscar-nominated film "Three Billboards Outside Ebbing, Missouri" inspired an Oklahoma woman to create her own signs in the hopes of solving the 2016 killings of her daughter and another woman. In the film that sparked Kim Merryman's idea, Mildred Hayes played by Frances McDormand purchases signs that question why no arrests have been made in the death of her daughter. 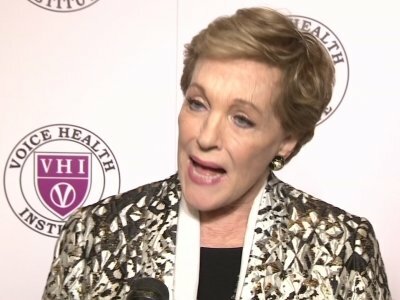 Oscars were awarded to two veteran Hollywood actresses last month — Frances McDormand and Alison Janney — but the glitzy ceremony and cheering audience couldn’t disguise the fact that opportunities for female performers in big-budget Hollywood movies have been drying up for the past two decades. Dwayne 'The Rock' Johnson has joked he wants to marry Frances McDormand after the way she treated his daughter at the Golden Globes earlier this year. LOS ANGELES (AP) — Prominent producers and celebrities like Matt Damon, Ben Affleck and Paul Feig are jumping on the inclusion rider bandwagon following Frances McDormand's best actress Oscar acceptance speech. Is Hollywood’s culture ready for real diversity? 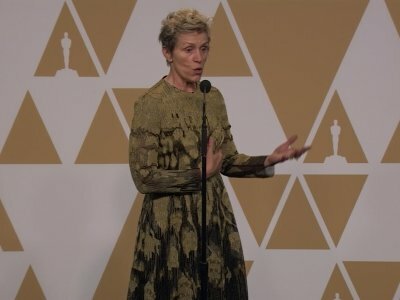 When Oscar-winning actress Frances McDormand lit up Oscar night with her puzzling plea for “inclusion riders,” civil rights lawyer Kalpana Kotogal was watching the event a continent away in Washington, D.C., and almost leaped out of her seat. “I was completely floored,” she told me in a telephone interview the next morning. A week ago, as she accepted the 2018 best actress Oscar, Frances McDormand asked all of the female nominees sitting in the audience to stand and be seen. Considering how many people were nominated, there weren’t that many women standing. And that was even after McDormand urged the iconic Meryl Steep to stand so everyone else would do so as well. 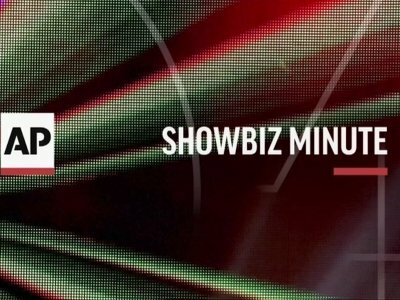 Movies & More columnist John Gillispie shares his thoughts on ABC's broadcast of the 90th Oscars ceremony conducted by the Academy of Motion Picture Arts and Sciences. At the beginning of ABC's Oscar telecast on Sunday night, I treated myself to three small pieces of Dove chocolate that were wrapped in colorful aluminum foil. Inside the foil wrapper of one of those pieces of candy was the following saying: "Stay up past your bedtime." In a message on Instagram on Wednesday, Jordan pledged to support "the women and men who are leading this fight." His announcement followed Frances McDormand's acceptance speech at Sunday's Oscars, where she urged the industry to adopt inclusion riders. 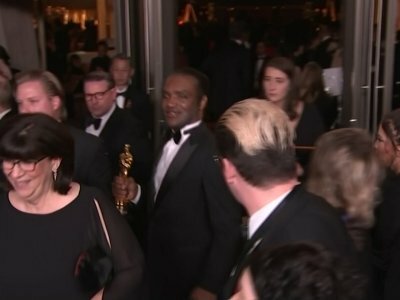 Video captured by The Associated Press appears to show the man who authorities say stole Frances McDormand's best actress Oscar walking out of the official Academy Awards after-party. Frances McDormand had her Oscar swiped from her. The 60-year-old actress won the coveted golden statuette for Actress in a Leading Role at this year's Academy Awards on Sunday (03.04.18) for her role as Mildred Hayes in 'Three Billboards Outside Ebbing, Missouri'. LOS ANGELES (AP) — Frances McDormand capped an awards season of accolades with the biggest one of all: an Oscar for best actress. After sweeping trophies at the Golden Globes, Screen Actors Guild, Independent Spirit and BAFTA ceremonies, McDormand won for "Three Billboards Outside Ebbing, Missouri." She played Mildred Hayes, a hardened woman seeking justice for her daughter's murder in the crime drama. "Look around, ladies and gentlemen," Frances McDormand said during her best actress acceptance speech. "We all have stories to tell." She was referring to the female Oscar nominees in the Dolby Theatre, all of whom she'd asked to stand in unison. But it felt like she was also addressing the evening's broader vibe: Change, of many kinds, at the first post-Harvey Weinstein Academy Awards. 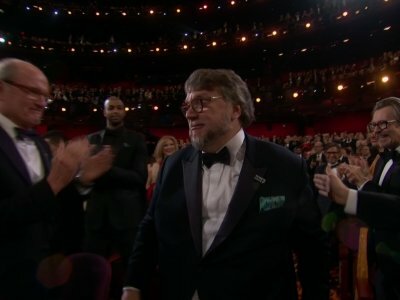 The monster movie love story "The Shape of Water" won four awards, including Best Picture, at Sunday's Academy Awards, a show that signaled the shape of Hollywood to come. 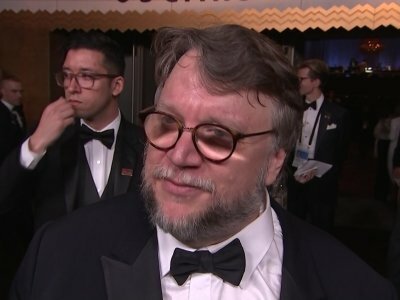 LOS ANGELES (AP) — When Frances McDormand capped her Oscar acceptance speech with a rousing call for inclusion riders, the general reaction was more "huh?" than "hooray!" McDormand, honored as best actress for "Three Billboards Outside Ebbing, Missouri," raised the concept's profile in an instant Sunday night. There was no #MeToo or Time's Up dress code on the Oscar red carpet. But the topic was, to no one's surprise, a major theme of the evening — from Jimmy Kimmel's monologue, to an emotional appearance by three Harvey Weinstein accusers, to Frances McDormand's calling all female nominees to rise with her in unison. Introduced flawlessly this time by returning presenters Warren Beatty and Faye Dunaway, the science-fiction/espionage/romance musical The Shape of Water won the Academy Award for best picture on a night when the entertainment industry seemed to be in the process of reinterpreting itself.